3. Press the button, there will be the root prompts, user-friendly input. 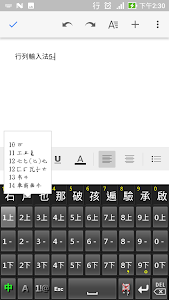 4. ranks according to the original specifications, when a root key and press the key word root, there will be 10 ranks of simple code word, in line with the original habit, to speed up the Chinese input. 5. Provide the ranks of the original specification of site-directed inquiry key "?" 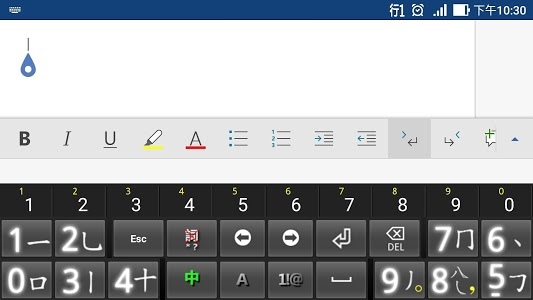 And all-around inquiry key "*" functionality, easy access unknown word. 6. 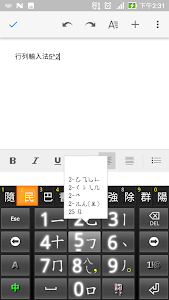 The special symbol packet input line of the original specification: press [W] key, then press number selected from the group, then select symbols. 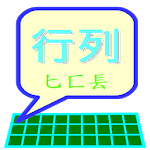 Similar to "行列輸入法 -- 字根提示版"